Tired of two-lines spells? Get a book of two-pages spells! Preorder the paperback or buy the PDF! In the life of a small-small-small-small-press RPG publisher there are times when substance and content is the only thing that matters. Some other times, instead, it's mostly about style. Then there are some lucky combinations where both need to be turned up to 11. RPG supplements about spells and magic are usually awfully plain lists of descriptions of spells, all crammed up in as few pages as possible and seemingly written in the driest way possible. You always wanted your spells to be in a book that looks like a spellbook, feels like a spellbook and illustrated with arcane imagery. Maybe hardcover. The Pergamino Barocco is all that. And it's not a stitched book, but a folded scroll, bound by hand. So not only you can page through it as a normal book, but you can also display any number of pages you want at the same time, potentially all of them at the same time. This also makes possible for multiple magic-users to peruse the book at the same time should they agree to share its secrets. Now in Paperback and PDF! 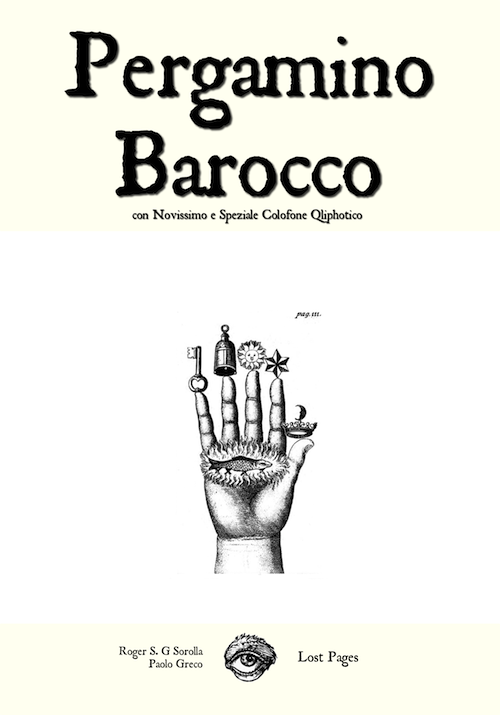 The Pergamino Barocco was first released as a limited edition, but now it's available in a more accessible paperback version. 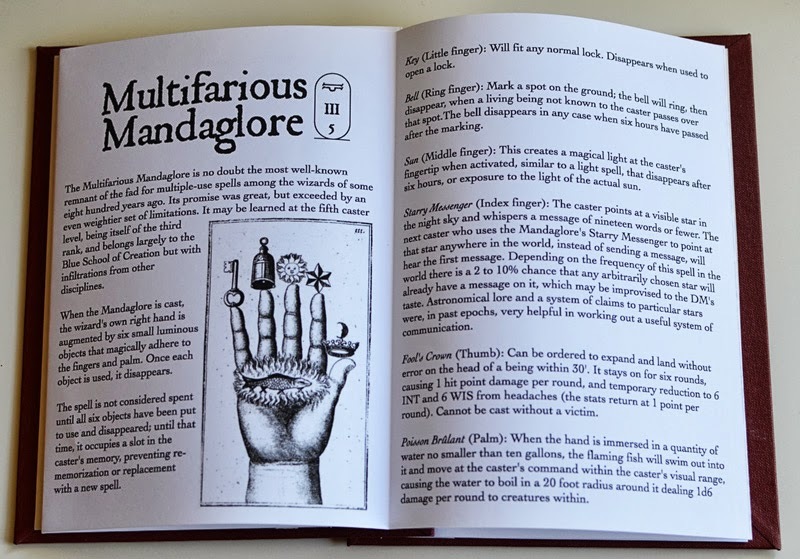 The second edition features the original spells in the same layout, plus a Qliphotic Colophon written especially for this version.